You are viewing the archive for the ‘green salsa’ tag. Summer is over. 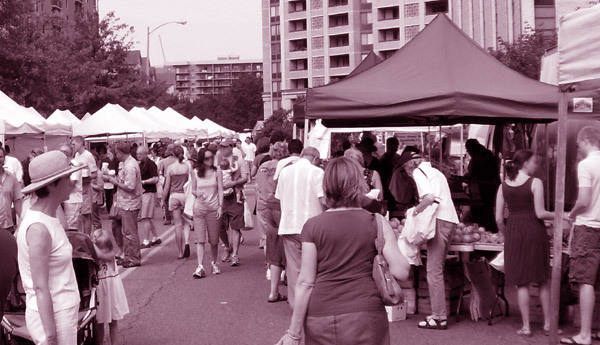 I am sure to miss my weekend morning ritual of walking to the farmer’s market, buying groceries for the week while sampling various produce. In farmers markets, I find uniqueness in commonest ingredients (e.g., heirloom tomatoes) and often run into an uncommon gem. One of the things I grew to love this summer were tomatillos, pineapple tomatillos to be precise. Tomatillo (L is often silent) is a popular fruit/vegetable grown in Mexico. Tomatillos have been gaining popularity in the United States. It looks similar to tomatoes but has meatier flesh than tomatoes. The sticky glutinous pulp is covered by husk like in cape gooseberry fruits. Generally, tomatillos are a bit sweeter than sweet tomatoes. Many Mexican dishes contain liberal use of tomatillos. Tomatillos are still not a mainstream ingredient but most of us have enjoyed dishes made with it, such as salsa verde (green salsa) or many other Mexican dishes. This summer, I tried pineapple tomatillos for the first time. A super enthusiastic vendor at my the farmer’s market was handing them out. I am glad that I was curious enough to try them. There is much confusion about pineapple tomatillos — if they are same thing as tomatoes or cape gooseberry, etc. Tomatillos are not unripe green tomatoes although they are often called “green tomatoes”. 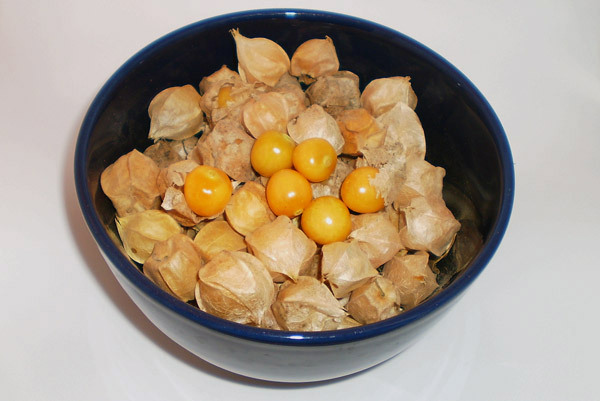 Both are from same family, Solanaceae, but from different genus Solanum (tomato) and Physalis (tomatillo). Tomato and tomatillo has as much similarities as other familiar vegetables such as potatoes and eggplants, which belong to the same family, Solanaceae. Pineapple tomatillo is a cultivar of tomatillo, which is Physalis philadelphica (or ixocarpa) while cape gooseberry is Physalis peruviana. Pineapple tomatillos are from the same genus but are from different species. They are similar in same way as a cow (Bos primigenius) is similar to an yak (Bos grunniens) and we (Homo sapiens) are similar to neanderthals (Homo neanderthalensis). The regular green tomatillos are becoming common and can be bought at majority of large grocery stores around the country. Pineapple tomatillos are harder to find cultivar of tomatillos often found only in farmers markets. Pineapple tomatillos are smaller than regular tomatillos, similar in size and shape to cherry tomatoes. 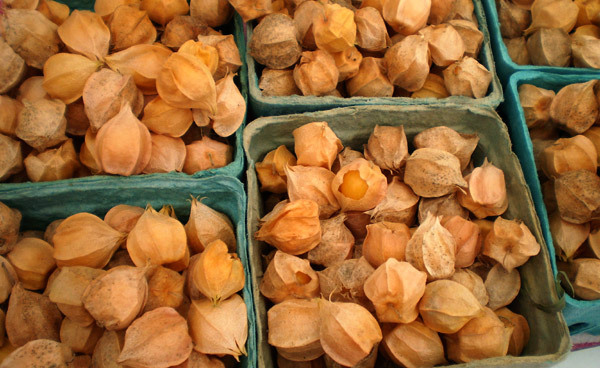 Like any tomatillos, the fruit of pineapple tomatillos are covered in papery husk. The flavor is unique a blend of tomato and sweetness of pineapple. At $5.50 per pint, pineapple tomatillos were not super affordable. I bought them without any idea on how to eat them. After buying, I probed the enthusiastic vendor for ideas. His reply was to eat directly as a snack or add them in a summer salad. After probing further, he let me in his secret – he often uses pineapple tomatillos as toppings for vanilla ice cream. After returning from the farmers market, I fixed myself a bowl of vanilla ice cream with pineapple tomatillos on top of it. It was a good excuse to eat ice cream. 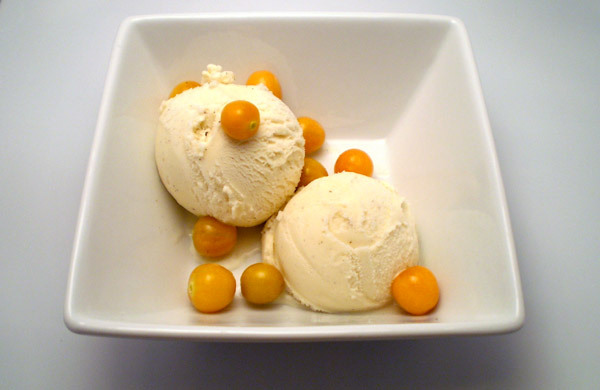 Pineapple tomatillos were a perfect topping for the ice cream. They were not too sweet to overpower sweetness of the ice cream. Pineapple tomatillo’s succulent texture complimented perfectly with smooth melting ice cream. In coming days, I finished my first batch of pineapple tomatillos as topping to a half gallon of vanilla ice cream. If I have to defend myself, part of the reason was because I couldn’t find any recipes for pineapple tomatillos online. Most of them used pineapple fruit and regular tomatillos. The following week, I went to the farmers market looking for pineapple tomatillos – determined not just to use them as ice cream toppings but in few other recipes. They were out of pineapple tomatillos for this year. Definitely next season!